When you think of the southern part of India, don’t places like Kerala, Tamil Nadu strike you first? I believe they do. You think of the back waters, a few dance forms, hill stations, with waterfalls surrounding you and impeccable beaches- so pretty you wouldn’t want to leave from there. There’s another state, one with a variety to offer that people usually tend to ignore and not consider too intricately – its Karnataka. What is the best part of Karnataka? There are many unconventional and offbeat places in Karnataka that can blow your mind right away. All you need to know is that you have a bag packed with a few essentials and your spirit high up for you to start off and there’s no turning back then. A breakthrough from the daily hectic life, with a replacement of waterfalls, the perfect sunset (literally! ), trekking facilities and alone time in a small village with easy access. Agumbe is one of those places, at-least for students studying nearby in Universities, for a quick break! It is just a drive of 55 km from Manipal and around 100 km from Mangalore Airport to reach Agumbe. The weather here is beautiful and you see the sunset in dusk will leave you speechless. To just pass the road in a vehicle, you will be bewildered! With the Arabian Sea on one side, hitting the rocks with its force and a calm Souparnika river on the other side, laying calmly contradicts the sea is on the Maravanthe stretch. If you’re making your way from Udupi/ Manipal/ Mangalore to Goa/ Gokarna/ Karwar, you have to pass by this stretch. You have a beautiful beach here which is a stop you must make. You have Turtle Bay and Trasi where you could hold up and avail the water sports that happens here. Marvanthe is at a distance of 105 km from Mangalore, and lies on the Panvel-Eddapally highway. 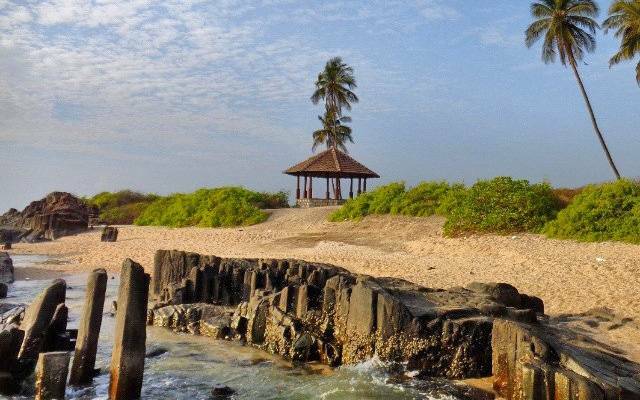 If you’re anywhere around Udupi or Manipal, make sure you make a visit to St. Mary’s Island. If you’re in Mangalore, you could take a bus and come to Udupi. It has rock formations, due to its dead volcano. 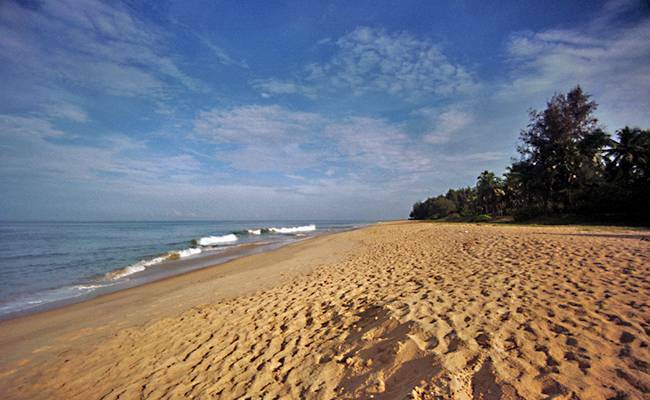 There are beaches, which takes two boat rides from Malpe beach. You need to be precautious when switching boats and also around the beach. Do carry tons of water bottles with you along with a hat, shades, and a change of clothes; if you intend on swimming for a bit. Not only does Karnataka adhere to tourists and people interested in a restricted variety of choices. Rather, it has scope for a huge platter. 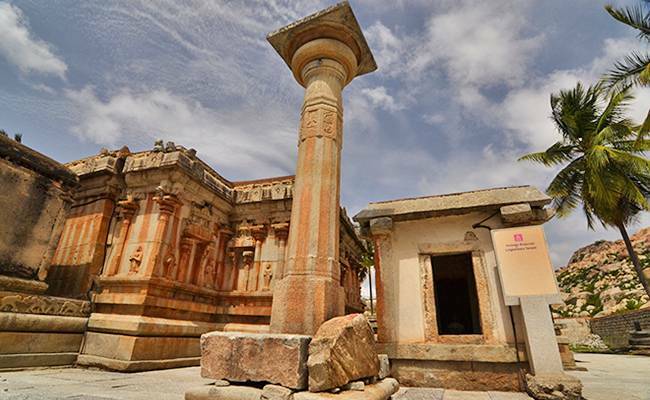 Lakkundi is ‘Archeology Heaven’ and an amusement park to history lovers! 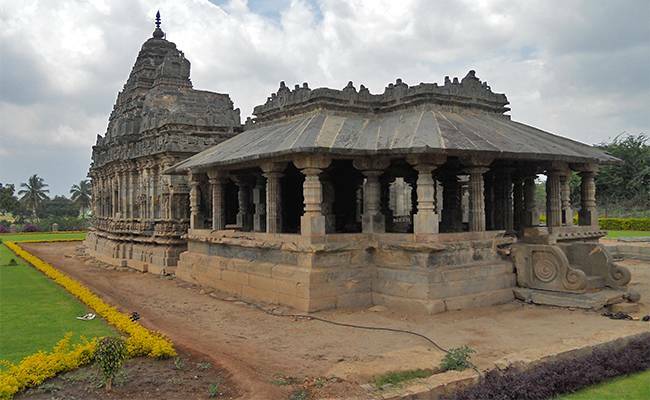 Situated in Gadag district, Lakkundi is around 400 km from Bangalore, but around 60km from Hubli. You have the remains of a lot of temples, mesmerizing architecture, pillars, and wells and so on and so forth, that you can explore here. The month of May is one where you could preferably visit Lakkundi, since it has Lakkundi Utsav which is their annual festival. You can relive the moments of history here. 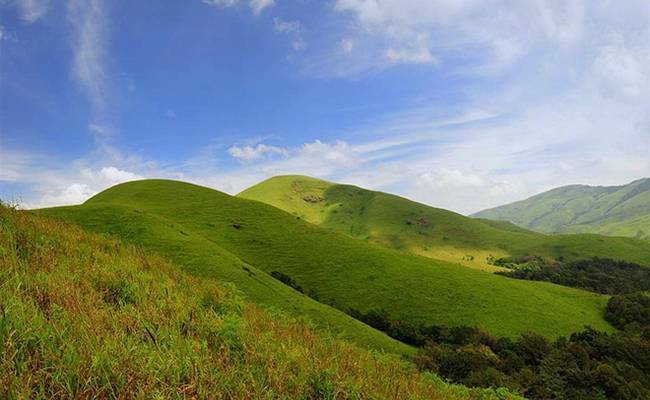 In the district of Chikkamagalur, Kudremukh comes along. 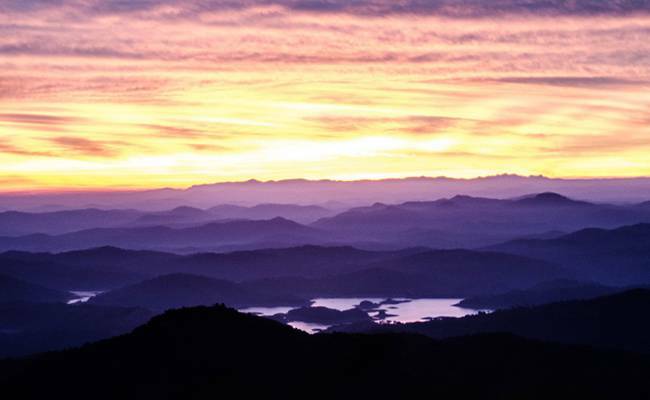 It is a heavenly place for trekkers and to those who love the nature and enchants you all the way. 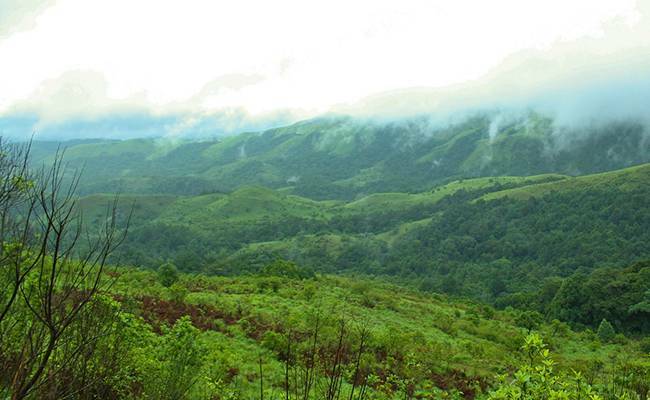 You have to plan a trip to Kudremukh if you’re really into adventure and you get the best of it here. You have trails that make their way around mountains and waterfalls. In here, you have a dam, temples, more hills and waterfalls! You should visit this place around October- March and you need to pre-book your stay. You have lodges and a variety of home stays now too to choose from. The nearest airport is Mangalore. In Kolar, makes one talk about the history, the myth and the legend that has been attached with its name for decades now! Temples and more temples and brilliant sculptures all around; it is a must for those who are definitely interested in History! People who want other things like clubs and eat outs, this isn’t a place for you. But, there are always others to look forward to. The remarkable history related to this place keeps one wondering as to how much things have changed or not, since time. Nestled in Kodachadri hills, part of the Western Ghats in the Shimoga district, lies Kollur – a place very well-known for the Mookambika Temple, is a definite on those who believe in god and are spiritual, and even for those who just want to visit. The Navratri time is one which shouldn’t be missed, but its extremely hard to find accommodation during then. Kollur is 80 km from Udupi and 415-420 km from Bangalore. You have a lot of places nearby that you can visit too- Murudeshwara (for its humongous Shiv idol, which can be seen from the train), Marawanthe, Shringeri and the list goes on. Once you reach here, you will be reminded of Goa, but you would want to know one thing that makes it stand out and make it better in numerous ways, it is not a commercialized place. You can hold your beer in your hand, watch the sunset, light a bonfire, have people dancing around and socializing, have ravishing food. Yes, Gokarna has a lot in store for you. It surprises you and there is peace that dwells inside you once you get here. There are trains from Goa and Mangalore to reach here, or you have your ideal choice of a road trip too. 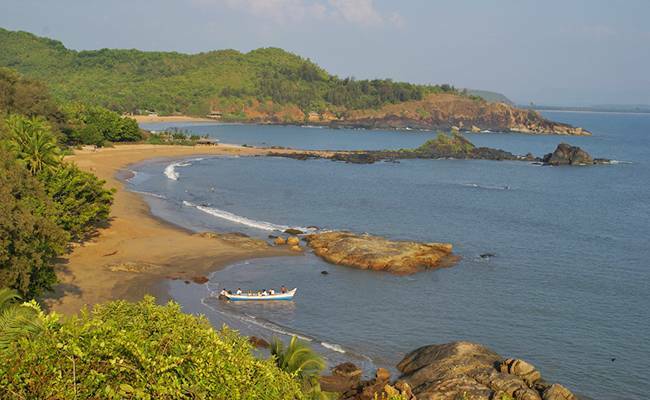 The most preferred beach here is Kudley beach, amongst the Gokarna beach and Om beach. You have foreigners here throughout, and Yoga is showcased all around you, with people in their own worlds. You have shacks on the beach where you can hold up for the night! But, mind you, it’s very hard to get a place here. You need to book in advance. Mighty foam and Magnitude which is magnanimous, is felt here in Jog Falls. 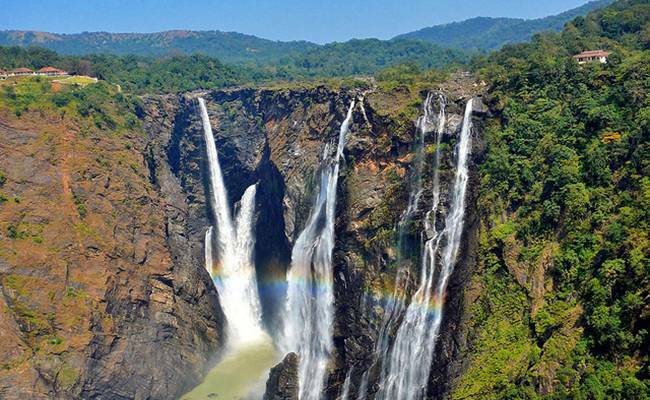 You have four different falls that comprise the Jog Falls, in Shimoga district. There are a lot of means to get there. You can directly fly down to the Mangalore airport and find your way through. The time you need to be here is during the monsoons; what a sight! Such force is captivating, along with the greenery that surrounds the place. This waterfall is considered the tallest waterfall in the country. With sprinkling water that rushes across your face when you go closer and down the steps, you can actually walk your way down with the waterfall beside you. You will be enthralled by the scene surrounding you. 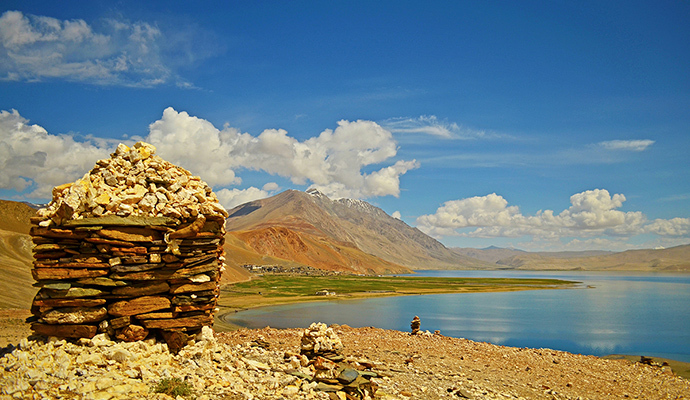 A break for those fed up with work, or just an enthralling spree for those who love adventure. 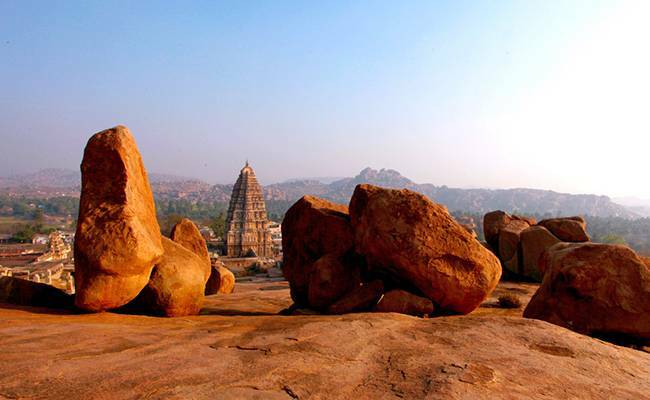 Hampi, is a spot known for its history and archeology, a place where tourists cherish their visit. Hampi is a place where the best time to visit is from November- February, nonetheless, people are there throughout the year, enjoying the bliss that the place has to offer. You have easy transport to this place from various cities. Once, you’re here; you need a bike, a cycle or you can choose to walk it off! You have a river: on one side, you can see all the temples and on the other, you have café’s and hippies around! There are rocks from where you could dive straight down to the river too! There are a lot of places around you, a lot of things to do, then why not start exploring now? If you’re a student of Manipal, you have so many places that can mark your weekends. If you’re in Karnataka and are not willing to leave the state, you have so many place to choose from- a two or three day’s trip! If you’re a tourist, you do need to add these above mentioned places in your itinerary.